Imagine getting to stay in a hotel for free? It’d be great, wouldn’t it? For those of us who love to travel, it’s the dream! Well, getting to stay in a hotel for free isn’t a pipe dream. There are actually many ways (Trivago actually pays you to stay at hotels!) that you can stay in hotels across the country and the world, without paying a penny for it! And, if you, like me, love to travel, then this can save you so much money when traveling . The more you save, the more you can travel, and who doesn’t want to travel more? In our list, we cover tips, hacks and tricks for getting your hands on free hotel accommodation. So, if you’ve ever wondered how to stay at hotels for free, then read on! Okay, so the first one we’re going to cover is hotel rewards programs. With these programs, you earn points when you spend money at hotels, and you can later redeem these points for free stays. A lot of hotels, from big chains to smaller brands offer a rewards program. So, if you find yourself staying at a particular chain often, then signing up for that hotel’s reward program really is a no-brainer. Below, we list hotel rewards programs that give you free stays. Check them out, and see if your favorite hotel is on there. Marriot Hotel Rewards provides you with points. And, since there are more than 4,700 Marriot Brand Hotels in over 92 countries, you have a lot of flexibility when it comes to where you want to stay. This is what’s great about this program – even if you only stay in the brand’s hotels, there are plenty of locations to choose from. You earn 5 to 10 points for every $1 that you spend at Marriott brand hotels, and at participating Ritz-Carlton locations throughout the world. For most locations, you’ll earn 10 points, but for a couple of Marriot Brand Hotels, you’ll earn 5 points. You can learn more about points here. And, there are plenty of other opportunities to earn points. For example, you can earn 50,000 points when you refer a friend. Once you’ve earned enough points, you can redeem them for hotel stays. How many points you need varies, depending on the hotel category. You’ll need at least 7,500 points (or just 6,000 with PointSavers rewards) to redeem a free night’s stay. Learn more about how many points you need to redeem a free stay here. What’s great about this program is that once you’ve redeemed four free nights, you get the fifth one for free. Experiences, such as sports events. Gift cards for major retailers. Merchandize, such as tech and fashion items. So, it’s a really flexible program. The next hotel rewards program on our list is Wyndham Rewards. As a member of Wyndham Rewards, you earn 10 points for every dollar that you spend, or 1,000 points, whichever is more. When you reach 15,000 points, you can redeem a free night’s stay at one of the brand’s hotels. 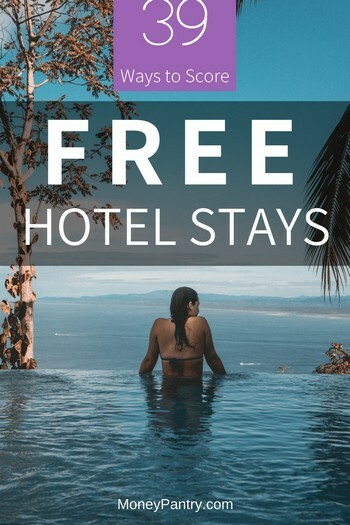 As the brand features more than 8,000 hotels, you have plenty of choices when it comes to where you can redeem your free nights. Wyndham Rewards also has different membership levels. So, when you stay more, you get access to more benefits, like late checkout and early check out. And, for the last two tiers, you get a points bonus – 3,000 points at the Platinum level and 6,000 points at Diamond level. Starwood Preferred Guest, which offers more than 1,500 hotels and resorts, has a loyalty program. It has a few different membership tiers. As you continue to stay at the brand’s hotels, you’ll move up through the membership tiers. Depending on your membership level, you’ll earn between two to four Starpoints. Free stays start at 2,000 points, but can require 20,000 plus points. And, when you redeem four free nights, then you’ll get a 5th night for free. Free internet in your room. An enhanced room at checkout. Access to club and executive-level lounge privileges. With Choice Privileges, you earn 10 points for every dollar that you spend at the brand’s hotels. And you also earn 10 points for each dollar you spend on vacation rental stays, at a villa, home, cabin or condo. You can redeem nights from 6,000 to 35,000 points. The brand has more than 6,300 hotels worldwide, so there are plenty of locations to choose from. This is another program that offers different membership levels. So, the more often you stay at the brand’s hotels, you’ll start to move up the tiers. When you first join, you get 10 points for each dollar that you spend. Then, as you move up, you’ll get from 10% to 50% bonus points per stay. You’ll also get access to other benefits after the first tier, such as room upgrades and access to an exclusive reservations line. Points required for free night’s stays range from 8,000 to 36,000 points, depending on the property type and location. Since Best Western has more than 4,200 hotels in over 100 countries, there’s plenty to choose from. With this program, you earn points for every eligible dollar that you spend. This program has a few different membership tiers. When you first join, you’ll be at the first tier and earn 10 points for every dollar that you spend. When you move up through the membership tiers, you’ll earn between 12 to 20 points per dollar spent. When you’ve accumulated enough points, you’ll be able to redeem them on dining, purchases, experiences, such as concerts, and, of course, free nights. At least 5,000 points are required to redeem a free night’s stay. As a member of the World of Hyatt program, you’ll earn 5 points for every dollar that you spend at the brand’s hotels. You can redeem your points for free nights, starting at 5,000 points. Access to a member’s only reservations line. The InterContinental Hotels Group (IHG) operates more than 5,000 hotels in more than 100 countries! Some of its well-known brands include Crowne Plaza and Candlewood Suites. And, of course, you can redeem your points for free nights. You’ll need at least 10,000 points to redeem a free night’s stay. AccorHotels features 5,000 hotels in 100 countries – so it offers a great selection of locations to choose from. As a member of its loyalty program, you earn points each time you spend €10. You’ll earn between 5 and 44 Rewards Points and 5 to 25 Status Points. You’ll need to have at least 2,000 points to earn a free stay. The Radisson Hotel Group features 1,100 properties worldwide. If you stay at any of the brand’s hotels, then you might want to consider joining Radisson Rewards. As a member, you earn 35 points for every dollar that you spend on stays. You can also earn points on food and beverages. You can then redeem your points for a free night’s stay. You’ll need to have at least 9,000 points to redeem a free night. With La Quinta Returns, you earn points when you stay at the brand’s 800 plus hotels. For every dollar that you spend, you’ll earn 10 points. You can redeem a free night’s stay starting at 6,000 points. Also, you get access to a number of other benefits, like late check-out on request and express check-in. This is another program that has different membership levels. So, the more stays you have with the hotel, the more you’ll move up. As you move up through the membership tiers, you’ll earn bonus points. For example, when you stay 10 nights, you’ll reach the Gold level, and get a 20% bonus on the base points you earn. Free room upgrades based on availability. Better availability for free stays. Preferred Hotels & Resorts has a program called iPrefer Hotel Rewards that offers free nights. When you stay at one of the brand’s 650 hotels, which are throughout 85 countries, you earn points. You’ll earn between 5 to 10 points per dollar that you spend, depending on your membership level. As a member of Omni Select Guest, you can earn free nights, and get access to other benefits, like free Wi-Fi, and exclusive offers. Stay 20 qualifying nights at a qualifying rate, then you’ll earn a free night’s stay. As a member of the Golden Circle loyalty program from the Shangri-La, you can earn one point for every dollar that you spend. This program has a few different membership tiers. As you move up the tiers, you’ll also earn 25% to 50% bonus points. You can get free nights from 1,000 points. This program differs to the ones above, as it’s not offered by one hotel. GHA doesn’t give you free nights per stay. But, one of the benefits is that you get access to special member discounts. You can get 10% off of your booking. When you break down the cost of your trip, this ten percent saving could equal a free night, depending on the cost and duration of your stay. There are also plenty of other benefits available, such as free bottled water, free internet, early check-in and late checkout. Our next tip is to consider getting a travel credit card. These are great because they allow you to earn rewards in a multitude of places. Hotel rewards programs are great. But, if you don’t want to be tied to just one hotel, and you want to be able to earn rewards regardless of where you stay, then credit cards are a good option. These cards give you points or cash back in some cases when you spend money, and you can then redeem these points for travel rewards. Of course, you have to make sure that the annual fee, if there is one, is worth the amount you’re getting back in rewards. So, do keep that in mind when choosing a card. Let’s start with cards offered by banks. The cards below give you points when you spend money on everyday purchases. So, you can earn any time you use your card. This is great because it means that when you’re spending money on groceries you can still be earning towards free hotel stays. Annual Fee: $0 for the first year. $95 after that. When you spend $4,000 in the first 3 months of account opening, you get 50,000 bonus points. And, when you redeem those points for hotels, or airfare, car rentals and cruises through Chase Ultimate Rewards, the points are worth 25% more. So, those 50,000 points are worth $625 toward travel. Aside from this bonus, you’ll also earn 2x points when you spend money on travel and dining. And get a point for all other purchases. This is a travel rewards credit card. With it, you can earn 2x miles per dollar you spend on every day purchases. And, if you spend $3,000 within the first three months of your account opening, then you get 50,000 bonus miles. Miles are worth a cent, so this works out at $500! And, for bookings made through Hotels.com/venture, you earn 10x miles! There are no foreign transaction fees charged for using this card either. APR: 0% for the first 12 billing cycles. 16.49% to 24.49% will apply after that. With this card, you can earn 1.5 points for every dollar that you spend on purchases everywhere. And, you can redeem your points to pay for hotels – so you’re getting free stays! Points can also be redeemed towards hotels, vacation packages, baggage fees, rental cars and cruises. Plus, if you make at least $1,000 in purchases during the first 90 days of your account opening, then you’ll get 20,000 bonus points. These points can be redeemed for a $200 statement credit toward travel purchases. There are no foreign transaction fees charged either. This card is best for those who are going to use the card enough and travel enough to make the annual fee worthwhile. If you spend $5,000 in the first three months, then you’ll get 60,000 Membership Rewards Points. 5X Membership Rewards Points: When you book flights directly with airlines or with American Express Travel or book prepaid hotels on amextravel.com, you get 5X Membership Rewards Points. Fine Hotels & Resorts Program: You’ll receive complimentary benefits, such as daily breakfast for two and room upgrades, with an average total value of $550. Airline Fee Credit: You can check your bags or have an in-flight meal for free. Choose one qualifying airline, and you’ll get up to $200 per calendar year in statement credits when the airline charges incidental fees to your Platinum Card account. Uber Credits: You get $15 in Uber Credits for U.S. rides each month, as well as a $20 bonus in December. This can be up to $200 in annual Uber savings. There are plenty of other benefits to be had with this card – if you travel a lot, then it’s definitely one to consider. There are also a lot of hotels out there that offer credits cards. And, these cards can get you free nights, and other perks. Here are a few hotels offering credit cards. Annual Fee: $0 for the regular card. $0 for the Platinum card for the first year $59 after that. 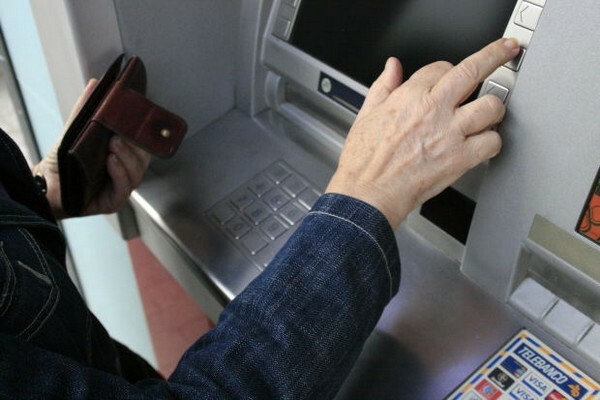 APR:24% or 24.24% for the regular card. And, 18.24% or 24.24% for the Premium Card. With the Premium card, you can earn up to four free nights with bonus points. And, you automatically get Platinum membership status – so you skip the first two tiers of the Best Western Rewards program and get the benefits of the Platinum level. And, with the regular Rewards MasterCard, you can earn up to two free nights with bonus points. 20 points per dollar you spend on Best Western Stays: 10 points as a Best Western Rewards Member and 10 points for using your Best Western Rewards Premium MasterCard. 13 points per dollar you spend on Best Western Stays: 10 points for being a member of the brand’s reward program and 3 points for using your Best Western Rewards MasterCard. And, you’ll also get 2 points for every dollar that you spend everywhere else. Plus, you also get access to a member-only discounted hotel rate. Just select the Best Western Rewards Rate at bwrcarddiscount.com, and you’ll get at least a 10% discount. APR: 0% for the first 15 billing cycles. 16.74%, 21.49% or 26.49% after that. When you spend $1,000 on purchases during the first 90 days, you’ll earn 32,000 bonus points. And, this is enough points for up to four free nights. And, if you spend $10,000 or more by your account anniversary date, then you’ll earn 8,000 anniversary bonus points, which is enough for a free night’s stay. You can also get 5 points per dollar you spend on hotel gift cards or points. And, you’ll get 2 points for every dollar you spend anywhere else. Plus, you get 10% bonus points each time you book a stay with Choice Hotels. Annual Fee: Differs depending on the card you get. APR: Differs from card to card. With this card, you get 10 points for every dollar that you spend on IHG hotels. And, 2 points for every dollar you spend at gas stations, grocery stores, and restaurants. And, finally, you earn a point for every dollar that you spend on all other purchases. With this card, you earn the same amount of points for purchases as you do above. However, rather than earning 10 points for each dollar that you spend on hotel stays, you earn 5 points. Whichever card you choose, you can then put these points toward free nights at IHG hotels. There are four other credit cards available, which you can check out here. When you spend $5,000 on purchases within your first 3 months of account opening, then you’ll earn 100,000 bonus points. And, after your account anniversary, you’ll get one free night award each year. You’ll also earn 6 points for every dollar that you spend at Marriot hotels, and 2 points per dollar for all other purchases. Get 100,000 Hilton Honors Bonus Points when you spend $3,000 on purchases within the first 3 months of card membership. And, you get a free weekend night award after your first anniversary of card membership. 12x Hilton Honors Bonus Points for each dollar that you spend at Hilton hotels and resorts. 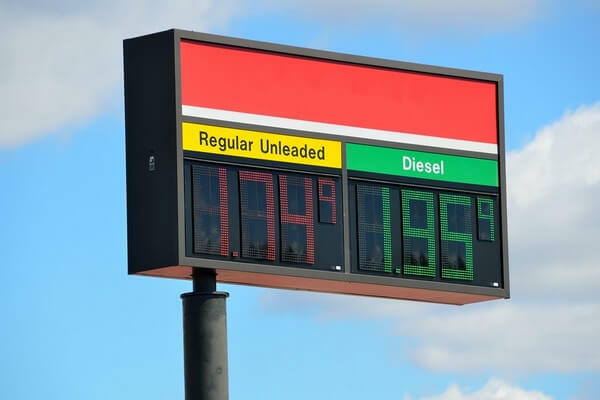 6X points for each dollar you spend at U.S. restaurants, supermarkets and gas stations. 3X points on all other eligible purchases. You can put these points towards free stays at Hilton Hotels. And, you also get access to other benefits, like free Priority Pass Select membership. This gives you access to more than 1,000 airport lounges – up to ten free visits a year. There are companies out there that pay for people’s travel expenses, including hotels, apartments and other accommodations. These are mystery shopping companies. You might associate mystery shopping with grocery stores, but these opportunities are actually available for most types of companies, from restaurants to, of course, hotels. Many hotel brands need mystery shoppers to help them to improve their accommodations and services. The aim of a mystery shopper is to gather data and give feedback on things like customer service. It’s sort of like online surveys, but in person. This isn’t as easy as the methods above for getting free stays in hotels, since you do have to provide feedback, and you aren’t just there for a vacation. But, having said that, being a mystery shopper is pretty easy and you can get yourself some great complimentary hotel stays out of it. Be careful when looking for mystery shopping opportunities. Unfortunately, there are a lot of scams out there. One involves sending you a check for more than you’re owed, and then the company asks you to wire the remainder back to them. This check will bounce, and the money you sent came from your bank account. You can read more about this scam on USA Today. You’ve probably read things, like “we price match” on sites like Booking.com, but what a lot of people don’t know is that the hotels themselves also like to provide their customers with the best rate. That’s why hotels offer something called Best Rate Guarantees. While most hotels offer rooms through third-party websites, most want you to book directly with them. So, they’ll offer a Best Rate Guarantee – this means that you’ll get the best price when you book with them. However, sometimes hotels don’t have the cheapest price available on their websites, and you can find a better deal on third-party platforms. And, if this is the case, and you let the hotel know, they’ll often match the price, and offer you other perks, like discounts and free stays. Each website states what’s required for you to receive the benefits of the Best Rate Guarantee. So make sure that you read the instructions. If you find a lower published price for the same date on another website, Choice will match that rate. …U.S. and Canadian residents will get a $50 Reward Card, and international guests get a free night! If you’re a member of IHG Rewards, which we talked about above, then you can really benefit from the brand’s Best Price Guarantee. If you find a better price elsewhere, then IHG will match it. And, they give you five times the IHG Rewards Club Points – up to a 40,000 point maximum. This could net you enough points for a free night’s stay! It’s important to note that these extra points won’t count towards your membership level, so, unfortunately, these points won’t help you to move up to the next tier. If you find a better rate than the one offered on BestWestern.com, then the brand will match the lower rate. And, they’ll also give you a $100 Best Western Travel Card. If you find a lower rate within 24 hours of booking, then Starwood will match it. Plus, they’ll give you a 25% discount or 2,000 points – both of which can result in a free night. Let’s say you book a four-night stay for $800, and then with the 25% discount, the trip becomes just $600. You’ve saved $200, which is the cost of the room per night. So, you’ve gotten yourself a free night. And, as a Starwood Preferred Guest member, 2,000 Starpoints can get you a free night as well. Through its Best Price Guarantee, Hilton will match the price offered by other sites, and give you a 25% discount. This discount could equal a free night, depending on the cost and duration of your trip. The Marriot will give you a 25% discount or 5,000 Marriot Rewards points, depending on what you choose, if you find a lower rate on another site. And, it will match that lower rate too. If you find a better rate for the same room type on another site, then Omni will match that price, and give you a 20% discount on your stay. As we mentioned above, these discounts can equal a free night. If you book a stay with AccorHotels and then find a better deal for the same hotel and room category, then AccorHotels will match the lower price and give you a 10% discount. If you book a room on the brand’s website, and then, within 24 hours, find a lower rate for the room on another website, then Shangri-La will match the price. And, they’ll also give you a 10% discount off the lower rate. Above, we’ve covered quite a few ways that you can stay in hotels for free. But, there’s another thing that you can do. If you went to a hotel and have a genuine grievance about your stay, then you have a valid reason to complain. And, making a complaint to a hotel can sometimes get you a free night’s stay. Now, we’re not talking about making a huge deal, and we are certainly NOT telling you to be abrupt. No, complaining in a rude or pushy way or being unreasonable never works, and it’s also disrespectful to the hotel’s staff. We’re talking about complaining in a respectful, reasonable, and polite way. If you’re polite and reasonable, the hotel is much more likely to listen to what you have to say and actually want to help you out. Don’t demand a free night. Instead, give the hotel a reason to offer it to you. First of all, complain to the right person. You always want to talk to someone higher up in the chain. Reporting the issue initially to the clerk at the front desk is something that you should definitely do, but you’ll also want to speak to someone higher up, such as management to discuss it in more detail. Explain what the issue is clearly and concisely. Don’t get emotional. Explain calmly and rationally. If you can, try to get some evidence of your problem, such as a photograph or video – you can easily take one using your smartphone. Be realistic: A small issue is very unlikely to get you a free night’s stay. So, be aware that complaining will only result in a free stay if the issue warrants it. Report the issue as soon as you can, and preferably in person. Go to the front desk to talk to someone ASAP. If you don’t report your issue until you leave, then make sure you phone as soon as you can once you arrive home. The best tip we can give, aside from being polite, is to present your complaint as feedback, which will help the hotel to ensure customer satisfaction in the future. And, then finish by saying that while you would like to continue using the brand’s hotels, you were disappointed in your stay. This Reddit user states that they have had success with this. Hopefully, the hotel will offer you some kind of compensation, whether that’s a free meal, room or upgrade, or discount. Don’t expect this to work all of the time, however. And, keep in mind that you should only complain if you have a genuine issue. Hotel staff members are experienced and, as displayed on a Reddit thread from hotel clerks, can see when you are lying to try to get something for free. Our final tip is to take a look at travel fare aggregator platforms, like Booking.com and Expedia. These types of websites can also get you free stays in hotels or at least a discount. Booking.com is a website that gives you great discounts, the more you use it. It does this through Genius deals. When you become a Genius member, you get 10% off the price of a room. So, you’re not getting a free night’s stay upfront – but rather a discount on your whole trip. This can result in you paying for a night less, however. For example, let’s say you were booking a stay for 10 nights at a hotel through Booking.com. The cost of the hotel is usually $1,700, or $170 a night. But, as a Genius member, you get 10% off – so you save $170 and only pay $1,530 for the whole trip. Since you’re saving $170 and, the hotel costs that much per night, you’re essentially getting a night for free. Booking.com is a great site to use anyway – I’ve used it to book places from Rome to Vienna with great success! Expedia is another travel website that can save you money on hotels. It has a rewards program, called Expedia Rewards. With this program, you earn 2 points for every dollar that you spend on hotels, packages, car rentals, cruises and activities on Expedia. And, you also earn 1 point per $5 spent on flights and airline frequent flyer miles. By the way, if you want to save on flights, read my airfare booking hacks for saving money on flights. You can then redeem your points when you book a hotel again with Expedia. If you have enough points, then you can use them to book a hotel and get your night’s stay for free. What’s great is that your points are worth twice as much at Expedia’s 3,500 plus VIP Access hotels. These hotels are chosen by the site because they have great guest reviews, ratings and service. Hotels.com has a great rewards program that offers free hotel stays. Collect 10 nights, and you’ll get one free! What’s interesting about this program is that the value of your free night is the average price of the ten nights that you collect. There are 297,000 properties to choose from – and you get to choose how you collect the ten nights. So, you could collect them all at once in a single stay or during multiple trips. Aside from getting free nights, you can also unlock secret prices. These are lower rates that aren’t available to everyone. They can save you a lot of money – you can get up to 50% off! I am sure you have heard of people who get tons of freebies because of their social media presence. To get free hotel stays, you need to build a following whether through a blog, YouTube channel, Facebook page, Instagram page or any other platforms, where you talk about traveling. 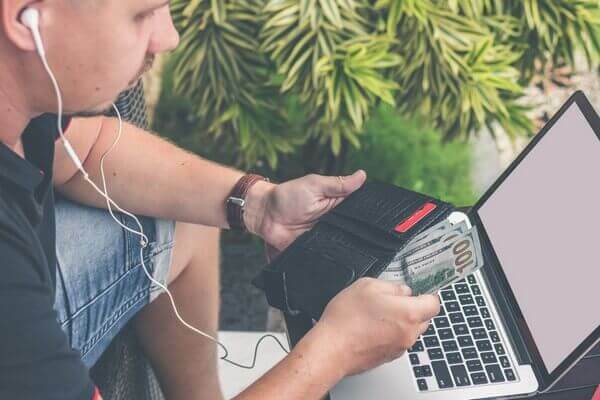 There are many bloggers who not only make money with their travel blogs but also get tons of freebies from hotels, travel sites and other companies in the industry. Now, becoming an influencer takes time and dedication. So it’s by no means an easy way to nab free hotel stays. So be prepared for a lot of hard work and dedication. Staying in hotels for free is possible. You just need to know how to do it! With the tips above, you can get free stays in hotels all over the world. And, when you’re not having to pay for hotel stays, you spend less, meaning you can travel more! Whether it’s traveling across the country, or to a whole new continent, exploring new places and seeing new sights is a wonderful thing. And, it shouldn’t and doesn’t have to cost you a ton of money. So, try out one of our tips, whether it’s joining one of the great rewards programs we talked about, getting a travel rewards credit card, booking through one travel platform, like Booking.com or Expedia, or working with companies like this one and this one that pay you to travel and you will be able to get a free night stay at a hotel.